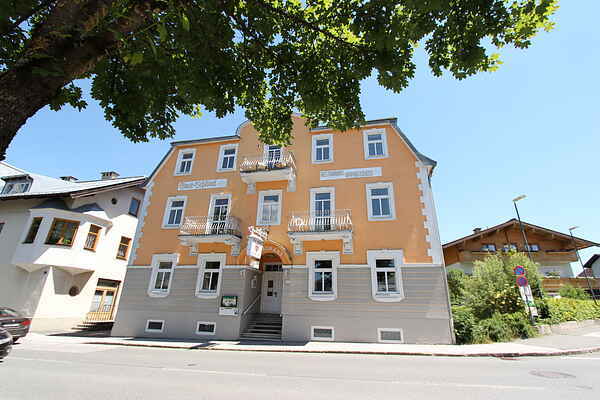 This is a rustic, cosy apartment, only minutes away from the village centre on foot. Tradition and modern comfort together create a heartfelt family-style atmosphere. Since 1997, the hotel has held 3 stars, and it has been redesigned.. Our apartments have a balcony and a magnificent view on the mountainside. The apartments for the most part feature French beds in the romantic room, large living rooms with tiled stove, comfortable couch, satellite TV, radio, dining corner and completely equipped kitchen, bath (toilet is separate). Enjoy your most beautiful time of the year in the cosy \"Gratt Schlössl\" - A WONDERFUL HOLIDAY FOR THE ENTIRE FAMILY!